Cardiff’s House of Sport is to host Kidz to Adultz Wales – one of the largest, free Welsh events dedicated to children and young adults up to 25 years with disabilities and additional needs, their families and the professionals who work with them in Wales. Figures state that just over 15,000 people in Wales are living with a learning disability, and over 76,000 people with a physical or sensory disability. Over 95+ exhibitors will assemble at House of Sport on Thursday 7th July to offer advice, support and information on mobility, communication, equipment and technology, education, toys and learning aids, transport, beds and seating, sports and leisure and much more. Free to attend, the event will feature a host of educational and practical seminars for parents, guardians, carers and professionals, on topics such as transition, education, behaviour, sleep issues, moving and handling, The Social Services and Well-being (Wales) Act as legal and personal matters. Kidz to Adultz Wales is organised by registered charity Disabled Living, having been approached by the Welsh Assembly to host the event in a bid to provide support to the local communities. Carmel Hourigan, senior manager at Disabled Living says: ‘Kidz to Adultz Wales is a great opportunity for children and young adults, as well as their families, carers and professionals to find out more about the products and services available to them. We’ve got some fantastic companies from Cardiff and around Wales and much further afield exhibiting and a great line up of speakers so all attendees will leave having learned something new. Our ‘activities area’ will offer visitors a chance to try out a variety of sporting activity taster sessions throughout the day. All our visitors will be entered into our free prize draw. Joanna Coates-McGrath, Disability Sport Wales Development Coordinator for Sport Cardiff, says “Summer 2016 has been named Summer of Sport, with the Olympics, Paralympics and Euro 2016 all taking place. Kidz to Adultz Wales is the perfect opportunity for younger people in the area to get involved in our sporting activities and find out about clubs in their local areas. 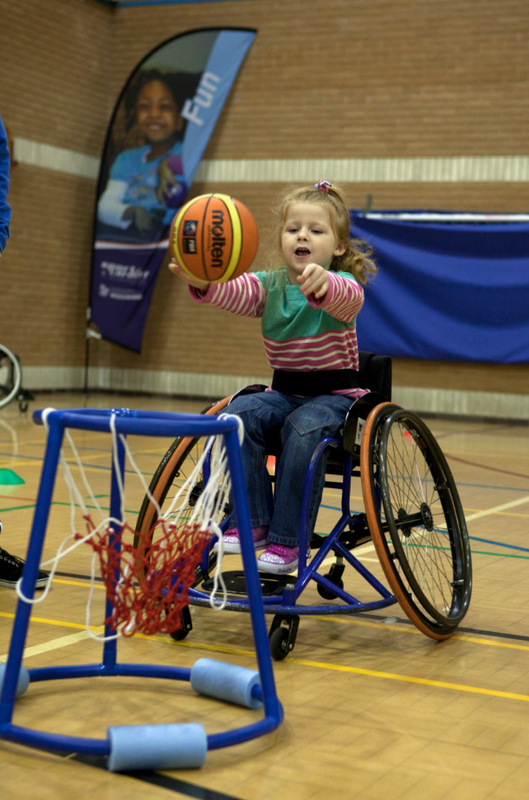 “Attendees can take part in activities such as football and wheelchair football, supported by Cardiff FC coaches and the team’s bluebird mascot. There will also be opportunities to try basketball, wheelchair basketball, and boccia. Alison Davies, a 55-year old grandmother from Glamorgan, who has previously attended other Kidz to Adultz events, says she plans to attend the Wales with her daughter and three-year-old grandson who has cerebral palsy. “We love these events, they’re a wonderful experience for the children and a great opportunity for parents and carers to find out about equipment and aids that can make lifer easier. We’ve bought specialist shoes to go over splints, a walker and a charity donated a toilet chair to us, worth around £400. There will also be a free prize draw for all attendees with prizes from Anglesey Sea Zoo, Gower Heritage Centre, Bristol Aquarium, and Newquay Boat Trips.